20 frequency banks with 12 preset frequencies each, user-programmable bank, and more. The Sennheiser EM 100 G3 Wireless Receiver is ready for the road with improved design and features proven transmission reliability and inspiring flexibility. 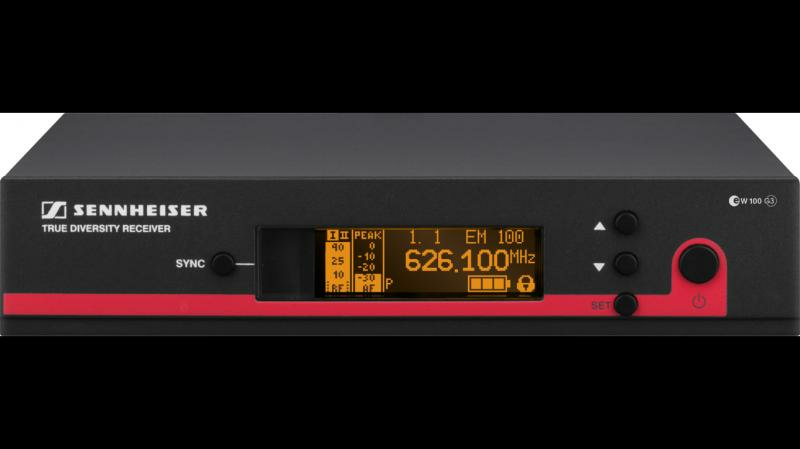 The receiver's Soundcheck mode allows you to check the audio and RF signal at any time during setup. 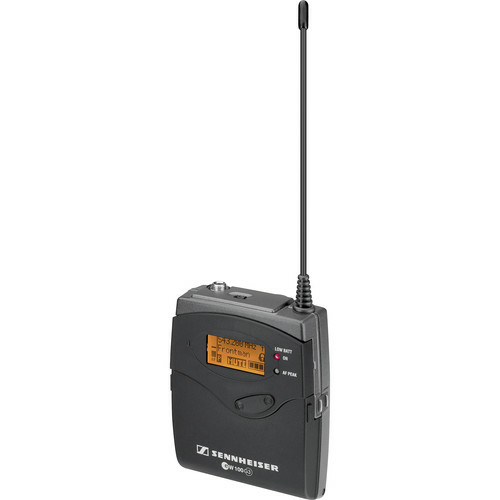 20 frequency banks with 12 preset frequencies each, plus a user-programmable bank, mean you can easily run multiple channels of Sennheiser G3 wireless simultaneously. If you own a EM 100 G3 series and your receiver gets damaged, this is the perfect replacement.